Another bitcoin fork will give way to a new coin, bitcoin cash. It is the result in a long discussion on bitcoin scaling database regarding BIP 91 investors and the bitcoin community finally resolve the issue. As BIP 91 is locked in and due to implement this coming August 1, 2017. However, in the past few days bitcoin seems to take a turn heading for a user activated hard fork (UAHF) Bitcoin Cash. The date is of the fork is this coming August 1, 2017. Bitcoin blockchain and may split into two competing chain and one of them is bitcoin cash. This is will be the result of UAHF. The original plan for a UAHF came about from a contingency plan, propose by bitcoin mining company, Bitmain, who was being oppose to the UASF for SegWit. At the Future of Bitcoin Conference held in Arnhem, Netherlands from 29 June to 1 July this year, a software engineer Amaury Sechet announce that an alternative bitcoin client (software) called Bitcoin Adjustable Blocksize Cap (Bitcoin ABC). Coexistence: Replay and wipe out protections ensures that should the two chains continue to compete, Bitcoin Cash aims to reduce user disruption and allows for the safe existence of two chains. Effect On Your Bitcoin Holdings? It does not affect your Bitcoin balance. A chain split and will result in you holding an equal number of coins on both the old and new chains. The value of those coins will be different and vary dramatically as they establish themselves as either the majority or minority chain. Mining pools including Bitmain, said that they will continue supporting SegWit2x and the original bitcoin chain. ViaBTC and Bitcoin Mining Pool/ViaPool have listed Bitcoin Cash and stated that they support the said Bitcoin chain. 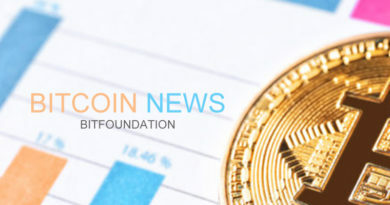 Some major exchanges like Coinbase, Coinfloor and Bitstamp are not stating any support for the new Bitcoin Cash but, two other major bitcoin exchange sites namely Bitfinex and Kraken have said that they will be crediting the forked coins to client accounts and will list the Bitcoin Cash for trading.